Artistic Associates - Teatro V!da (the other TV) Arts for Real Life. Janis Astor del Valle has been a guest performer with Teatro V!da since 2012. She is a member of our Ferocious Women Ensemble. 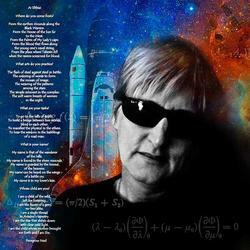 In addition to performing, Janis is a playwright, filmmaker, director, producer and a professor at SUNY Purchase. Her play, Trans Plantations is considered by many to be a contemporary classic. Springfield audiences were treated to excerpts of the solo play at CITYSTAGE as part of Teatro V!da's Bullying Anthology release party in 2012. In 2017 she performed her original work, Staying con la Gana, as part of our Theater Residency at the Bing Arts Center. Janis will be part of a collaboration betweenTeatro V!da and Amherst Media on a creative Puerto Rican literary history three-part series - coming soon in 2018! 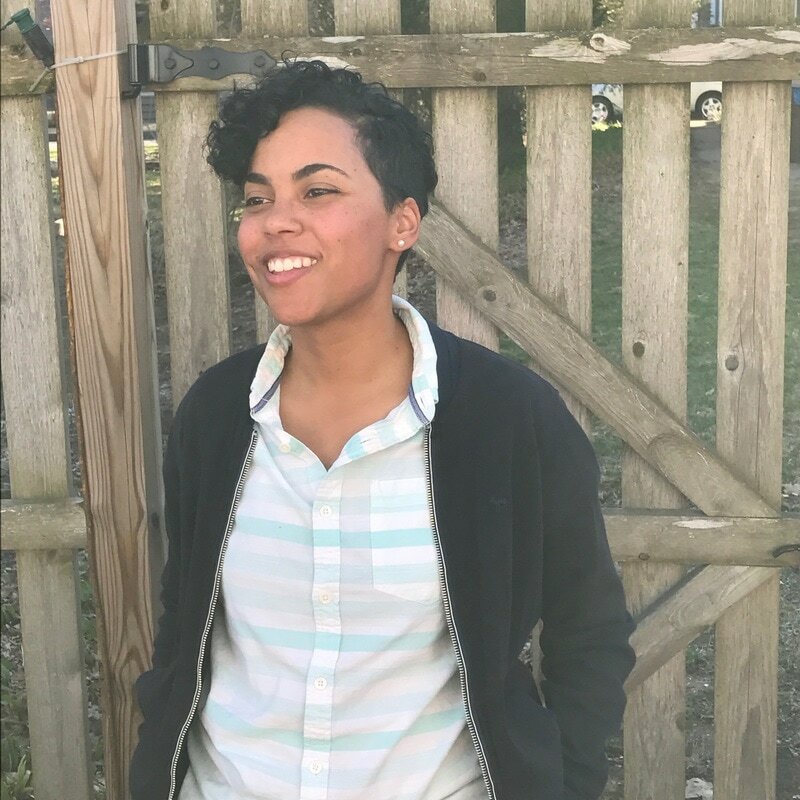 Taylor Ho Bynum is a performer on cornet and various brass instruments, composer, bandleader, and interdisciplinary collaborator with artists in dance, film, and theater. He presently leads his Sextet, the chamber ensemble SpiderMonkey Strings, and the little big band Positive Catastrophe; all of these ensembles have recently released critically acclaimed recordings. Critics have called Bynum “a young brass master and compelling composer” (Jon Garelick, Boston Phoenix), “a remarkable writer, improviser and bandleader” (Troy Collins, AllAboutJazz.com) and “one of the most exciting figures in jazz’s new power generation” (Steve Dollar, Time Out Chicago). Congratulations to our long-time supporter and collaborator, Abraham Gomez-Delgado on getting tenure at Bloomfield College, New Jersey! Literacy Specialist (N.Y.State Initial Certification) and an English Teacher 5-9 (N.Y. State Initial Certification) Originally from the Bronx, Andrew plans to return there and start a school upon completion of his doctorate. We are thrilled to have Andrew as part of our performance and training team! We look forward to producing some of Andrew's creative work in the future. Daniel Jáquez is a professional theatre director who has worked in the USA, Russia, Mexico, Switzerland, and France. Daniel has directed and produced Off and Off-Off Broadway and at renowned NYC concert venues such as The Town Hall, Symphony Space and Carnegie Hall as well as in major cities across the USA. 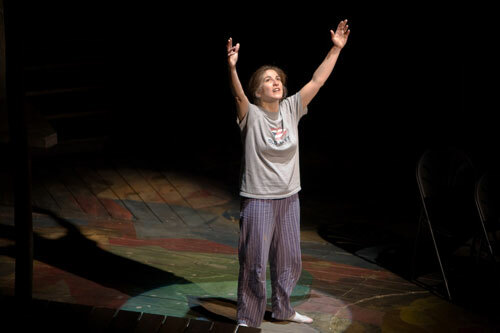 In 2004, he directed the Off-Broadway production of Lobster Face (or the shame of amanda cockshutt) by Teatro V!da’s Co-founder, and Artistic Director, Magdalena Gómez. He is an Associate Artist at The Miracle Theatre in Portland, Oregon and at The Immediate Theater in NYC. In NYC, from 2003 to 2006, he was the Director/Producer of INTAR Theater’s NewWorks Lab. He earned an MFA in Directing from ART/MXAT Theater Institute at Harvard University. Mr. Jáquez is a Member of the Lincoln Center’s Director’s Lab, and of the Stage Directors and Choreographers Society. 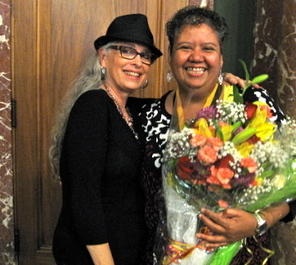 María Luisa Arroyo (on right) was one of the first Founding Artistic Associate of Teatro V!da and the Poet in Residence from 2007 - 2012. In 2014 she made history by becoming the first Poet Laureate of Springfield, MA thanks to the efforts of our friend and supporter, City Councilor, Timothy Rooke. The ceremony took place at City Hall in Council Chambers on September 29, 2014. Her appointment will last two years. We are proud to have María Luisa as part of our Ferocious Women's Ensemble. Her poem, "Don't Call Me Ghetto" will be included in our next production. 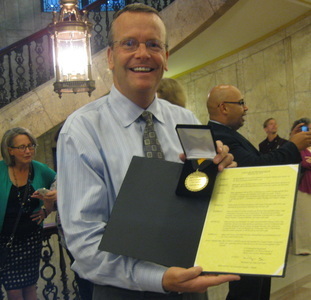 Below is City Councilor Timothy Rooke, holding Poet Laureate Medal and initial Proclamation that preceded the official ordinance. We thank Councilor Rooke for his efforts in making this historic event possible. He is a long-time supporter and volunteer with Teatro V!da. Manish Gandhi is a graduate of the London Academy of Music and Dramatic Art (LAMDA). He has performed in film and on stage, directed film and stage productions and was the original founder of ClustalZ Theatre Repertoire in Mumbai, India. Manish and Magdalena Gómez have begun to plan an original production relevant to the lives and concerns of Latino youth, inspired by some of Manish's theatrical work with youth in India. They are currently in the planning and grant writing stages for this project. We are grateful to Ferocious Woman, Rosemary Tracy Woods, for making the introduction between Manish and Teatro V!da when she and Manish met in Paris and Rosemary offered residency to Manish in Springfield during one of his trips to NYC. Jeremy Turgeon (center from left) began playing the trumpet at age 11 while attending Van Sickle Middle School. He continued playing the trumpet during high school at Sci-Tech, under Grammy Nominated Music Educator, Gary Bernice. Currently, Jeremy is studying at the Berklee College of Music. We will always miss our beloved friend and supporter, Fred Ho. One of the most innovative composers, saxophonists and thinkers the world had ever known. He traveled from NYC to see our productions, to perform with us, to teach us, to perform benefit concerts. He is the foundation of his own legacy and his work will live on of its own accord - his love, as well as his talents were fierce and indestructible. Below is Fred's final public performance. Fred Ho Tears Up the Stage at Brooklyn Academy of Music from Steven De Castro on Vimeo. This masterful and deeply moving bronze sculpture of Fred Ho was created by the internationally hailed and respected sculptor, Leah Poller. Fred trusted Leah profoundly although only having met her as he was facing a premature death. Their deeply spiritual connection that defied explanation, allowed Leah Poller to create a work in bronze that feels as if it is breathing. We are grateful to know this work is in the world. Thank you, Leah Poller. Adult Guests Artists and Scholars Include: Founding Poet in Residence, Maria Luisa Arroyo; founding Media Specialist, Jim Lescault; founding Music Director, Heshima Moja, 2007-2010; Fred Ho; Iris Morales; Ben Barson; Janis Astor del Valle; arjuna greist; John Brandoli; Sara Littlecrow-Russell; Quincy Saul; Sandra María Esteves; Abraham Gomez-Delgado; Owen Brown; Taylor Ho Bynum; Waleska Lugo DeJesus; Kevin Sharpe; Damian Curtis; Malika Ndlovu; Warren Amerman; Freddy Chapellequin;Tom Schneeloch; Julie Lichtenberg; Kathryn Neel; Lydia Pérez; Jesus Pagan; Victor Rosario; Ray Natal; Victor "Papo" Sterling Duprey; Abdou Sarr; Wali Ghiam; Brendaliz Cepeda; Ahmed Gonzalez; Rene Gonzalez; Lorena Garay; Eugenio Huanco; Natalia Eugenia Muñoz; Eric Remschneider; Mary Patierno; Brendaliz Cepeda; Kayla Creamer; Craig Sinclair; James O'Connor; S.P. Sullivan, Andrew Torres; Felicia Lundquist; Shoba Narayana; Diana Alvarez; Tony Vacca; The Afro Yaqui Music Emsemble; among others. More artists to be listed as we update our site! Teatro V!da's Artistic Associates are truly living history and world-class artists. We are grateful to them all for walking this legacy-building journey beside us.